The Department Of Energy awarded the University Of Illinois a $10.6 million grant for biofuel research. Biotech scientists are working to find new ways to create biofuels that would reduce dependence on petroleum fuel. “You’re no longer at the mercy of the oil market,” said Stephen Long, director of Renewable Oil Generated with Ultra-productive Energycane project, ROGUE. ROGUE aims to create biofuel more efficiently through Genetically Modified Organisms in plants. Instead of using soybeans, the researchers are using sugarcane-related plants. This is a novel approach considering most biodiesel comes from canola oil or soybeans. However, the researchers aren't worried about what to expect. “What we would be producing from these plants would be exactly what is coming from soybean and exactly what is coming out of canola already . . . so there’re no mysteries there,” said Donald Ort, deputy director for ROGUE. The $10.6 million grant will fund equipment, consumable materials, personnel, researchers and publicity. Oil prices are expected to rise in the coming years. This summer, consumers can expect to pay 14% more for gas compared to last summer. Brent crude, the global benchmark for oil, rose 3.5% earlier this month to $71.04 a barrel. This is the highest price since late 2014. If research in biotechnology can develop new and more reliable forms of fuel, it can reduce dependence on oil and combat high fuel prices. Carbon dioxide is a greenhouse gas that contributes to global warming. NOX and VOCs cause ground-level ozone that's unhealthy for the lungs. PM leads to hazy conditions that contribute to asthma and chronic bronchitis in children and the elderly. By initiating the shift from petroleum-based fuel to biofuels, researchers can make a positive impact on the environment. The University Of Illinois is a well-funded market for lab suppliers working to increase sales. In addition to this latest $10.6 million grant from the Department Of Energy, the University Of Illinois, Urbana-Champaign has received $16.5 million from the NIH so far in 2018. 2016 Life Science R & D Expenditures: 67th Ranked: $202,597,000. 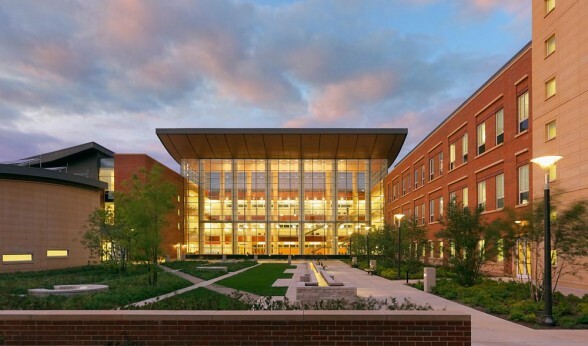 UIUC has received $25 million from entrepreneur Thomas Siebel for partial funding of the new Siebel Center for Design. This $48 million center will facilitate multidisciplinary collaboration on projects ranging from software to medicine. A three year, $5 million grant will fund UIUC research on increasing the water efficiency of a valuable and abundant bioenergy crop. Researchers who are ready to amplify their brand and boost sales for 2018 should join us at our 17th Annual BioResearch Product Faire™ Event at University of Illinois, Urbana-Champaign. This event takes place on May 25, 2018, and spaces are limited.